Looking to provide a different SKU for their popular console, Microsoft announced earlier today that the Xbox One Elite Bundle will hit stores later this year. The bundle is scheduled to launch worldwide beginning November 3rd, and will carry a cost of $499. 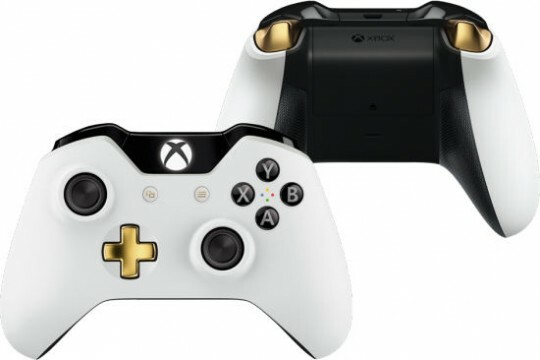 In addition to the Elite Bundle, Microsoft also announced a limited edition controller that will only be available at GameStop. Beginning next month, gamers can flock to the retailer in order to pick-up the Lunar White Wireless Controller. Sporting a sleek white and gold color scheme, as well as improved grip texture, the controller will run you $64.99. While I already own the regular console, I have to admit, if I had the option, I would definitely pony up the extra cash for the Xbox One Elite Bundle. The Elite controller looks like an impressive piece of technology, and considering I’ve had to juggle which games are installed on my 500GB hard drive, I could definitely use the extra space. The Xbox One Elite Bundle will invade retail shelves beginning November 3rd.